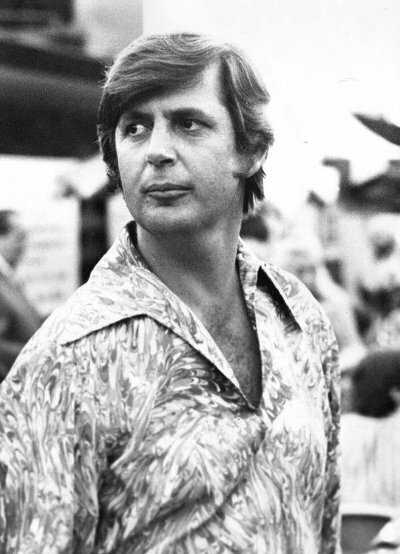 Rick Hall, the founder of Muscle Shoal's FAME Studio and a major record producer, songwriter and music publisher, died today (January 2) at his home where he had returned from a nursing home for the Christmas season. He was 85. Hall was born in Tishomingo County, MI and raised in Franklin County, AL but moved to Rockford, IL as a teenager where he worked as a toolmaker and played in local bands. He spent the Korean War in the Fourth United States Army honor guard where he played in a band with Faron Young. Post-war, Hall initially returned to working in factories but, when his wife and father died within two weeks of each other, he started to drift around Alabama playing in various venues, eventually forming The Fairlanes with Billy Sherrill and Dan Penn. Hall and Sherrill set up the Florence Alabama Music Enterprises (FAME) publishing company in 1959 but Sherrill left the partnership the next year. Rick went on to establish the FAME Studios, having their first success with "You Better Move On" by Arthur Alexander. The studio went on to record such acts as Tommy Roe, The Tams, Joe Tex and many others. In 1962, Hall also had success as a songwriter when George Jones recorded "Aching, Breaking Heart" (1962 / #5 Country). Through the 60's, he also had charting hits with Brenda Lee, Barbara Lynn, Jimmy Hughes and Clarence Carter. His hits include Donny Osmond's "Sweet and Innocent" (written with Sherrill), Carter's "Too Weak to Fight" and Candi Stanton's "Sweet Feeling". Atlantic Records entered an agreement with Hall in 1966 to send many of their artists to Muscle Shoals to record at Fame Studios including Wilson Pickett, Aretha Franklin, Clarence Carter, Otis Redding and others. Spooner Oldham, Jimmy Johnson, David Hood and Roger Hawkins worked as the studio band and a young Duane Allman regularly played on sessions. The deal with Atlantic went south in late 1967 after Hall got in a fight with Franklin's husband and, two years later, he established a new agreement with Capitol, moving to a more mainstream sound producing for artists like Donny Osmond, Paul Anka and Tom Jones. By the mid-70's, he was also producing a number of country acts while his staff writers were turning out numerous hits for the genre. In 1999, Hall sold his remaining shares in the business to his sons to concentrate on producing which he continued for most of his remaining life. Hall and FAME Studios were a major part of the 2013 documentary Muscle Shoals and, in 2014, he received the Grammy Trustees Award for his contributions to the field of recording. He is also a member of the Alabama Music Hall of Fame.